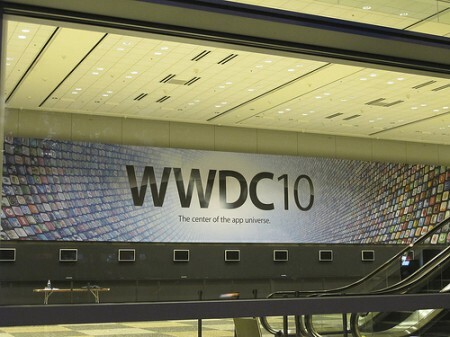 This year’s World Wide Developer Conference (WWDC 2010) will start at 10AM PT, that’s 8 PM local Saudi Arabia time. Here’s a list of sites covering the WWDC Keynote by Steve Jobs live from Moscone. â€¢ The Mac Observer and TMO on Twitter. Gizmodo was not invited, most likely because they tried to extort Apple. If you’re in Dubai, check out Shufflegazine’s event. And for Arabic coverage of the WWDC keynote: Apple-wd. I have to say that “gdgt live” is my favorite, but is there a way that we can watch the event streamed live?! Hopefully Leo will be there, but I doubt it! Since he wasn’t invited in several Apple events lately including this one. Many bloggers reported that live broadcast was not allowed. Imagine just text and picture uploaded was hoggy their WiFi network. Apple should use a private WiFi for demos atleast.